Elizabeth Spier is a principal researcher at AIR. She has several years of experience designing and managing large-scale, policy-relevant qualitative and quantitative studies examining the effectiveness of programs, and interventions designed to improve developmental and educational outcomes for children. She has been project director for an evaluation of a six-country randomized controlled trial to assess the effectiveness of a UNICEF school readiness program; an evaluation of the effectiveness of an intervention for preschool children with severe behavioral and emotional problems in Cleveland; the development of quality monitoring dashboards for the New York State Education Department at the New York State Office of Children and Family Services; and the development of a scoring system for the National Association for the Education of Young Children’s (NAEYC’s) accreditation system for early childhood programs. Dr. Spier was a lead trainer for bilingual data collectors for the Head Start Impact Study, and a data collector for the Early Head Start Study. 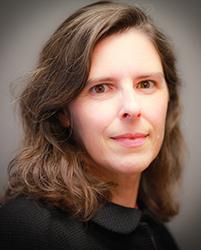 She currently directs an evaluation of efforts by the Association of Alaska School Boards to improve school climate and connectedness across communities in Alaska. She currently serves in a technical role in a multi-country evaluation of Room to Read’s Girls’ Education Program. She is also working with the Bangladesh Rural Agricultural Cooperative (BRAC) to support the development and implementation of a social and emotional learning curriculum for its pre-primary and primary schools for marginalized children in Bangladesh. Dr. Spier served as an emergency foster care social worker in New York City for six years, and is currently a licensed foster parent for unaccompanied refugee children.